He is survived by Kristina “Kiki” Tholstru; a daughter, actress Deborah Moore; and two sons, Geoffrey and Christian Moore, who have established a presence in the industry as an actor and film producer respectively. 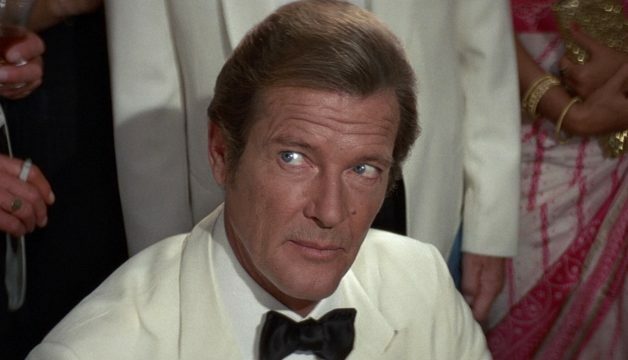 And though Roger Moore made a foray into light-hearted comedy – namely Cannonball Run, The Muppet Show and 2002 romp Boat Trip – toward the end of his decorated career, the screen legend will be fondly remembered as the third actor to slip into the tuxedo as James Bond. Following that aforementioned debut with Live and Let Die, Moore would go on to headline a further six movies in the Bond franchise. It’s a 13-year tenure that came to close with the release of A View to a Kill in 1985, leading to the moment when Timothy Dalton picked up the torch in ’86. But Moore was able to inject a light-hearted energy into Ian Fleming’s super-spy that few actors could ever replicate, and such an affable sense of humor played well with the James Bond faithful to such an extent that future movies played up the franchise’s theatrical sensibilities. Rest in peace and goodnight, Sir Roger Moore. Our thoughts are with his friends and family.